Diarrhea in toddlers is a common phenomenon affecting at least 1billion toddlers worldwide. The symptoms of diarrhea include a loose watery passing of stool three or more times a day, usually following every meal. 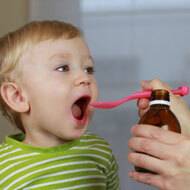 Toddler diarrhea is caused by bacterial, viral or parasite infections, reactions to certain medication (antibiotics for instance), or an intolerance to food, lactose in most cases. Viral gastroenteritis or stomach flu is a common cause for toddler diarrhea and affects ten percent of all toddlers with diarrhea in the U.S.
Child Vomiting And Diarrhea, Remedy? 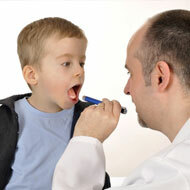 How To Treat Kid Vomit And Diarrhea? How To Avoid Illness In Pregnancy? The food products responsible for diarrhea in toddlers include dairy products including milk, especially in children who have an intolerance to lactose. Juices that contain sorbitol, which is a complex sugar and difficult to digest such as apple, cherry and pear juice can cause toddler diarrhea. You may instead give the child grape juice which is easily digestible. A toddler with diarrhea is susceptible to dehydration and must be given plenty of fluids like water, lemonade, fruit juices or an oral rehydrate solution that is easily obtainable over the counter. Remember that the shelf life of the solution is 24 hours and once the packet is opened, all of it should be used up within that time period. Home remedies that can be followed include boiling rice and feeding the child with the residual water after adding the necessary salt. Since milk is difficult to digest, you may withhold milk for about 24 hours till the diarrhea is completely gone. If the child is on cow’s milk formula and the condition is severe, you may want to switch to a soy formula, but only after consulting the pediatrician. Toddler diarrhea can cause rashes on the child’s bottom and you must take care to change the diaper often or use clean sterilized cotton cloth instead of a diaper to make the child more comfortable even though messy for the parent. Avoid baby wipes and rinse the child’s bottom with water and air dry. Use petroleum jelly or other protective creams so that the child is not irritated by dry, chaffed skin. However, care must be taken if the diarrhea persists for more than a day. Consult a doctor if the diarrhea is accompanied by vomiting, the faces is tinged with blood or mucous, the child has a high temperature and if s/he is irritable, has a sunken abdomen or eyes, a dry mouth or tongue and skin that refuses to flatten once you have released it after pinching lightly.